IFAN has four categories of membership. National members are usually standards user organizations/committees in a given country/customs territory which admit standards users to their membership without restrictions with respect to professions, industry sectors, sub-divisions of territory, etc. Corporate members are industrial and commercial companies and corporations, sole traders, consultancies, professional and trade associations, public sector bodies, etc. which deal with the use and/or implementation of standards. into the Federation at the invitation of the Board, with no voting rights, in accordance with the IFAN Statutes and Rules of Procedure. – from 0 to 2 units for national developing members. The value of the unit is decided by the Board for each financial year. 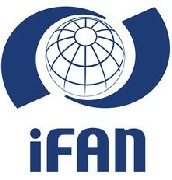 Any organization, company, governmental agency, professional or trade association wishing to become a member of IFAN is invited to complete the Membership application form for national IFAN members; the Membership application form for national developing IFAN members or the Membership application form for corporate IFAN members, as appropriate, and send it to the Secretary of IFAN. The IFAN Board decides on the admission of new members and fixes the membership dues in agreement with the applicants. The Secretary informs the applicants of the decision concerning their admission to IFAN and informs the IFAN membership about new IFAN members.